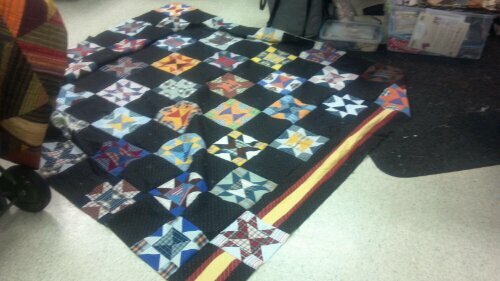 I am at the quilt retreat. I am working on my project. I don’t have enough fabric strips…. now I am wondering do I have more of this fabric at home? If I don’t have enough I will be on a hunt for new fabric….ugh. Part of me wishes I was home so I knew if I had more have the fabric. You can bet the first thing I do when I get home is to see if I have more fabric that matches. This entry was posted in Jo's Journal on March 22, 2013 by Jo.